You’ve just written the next great feature film or the new hit television pilot. Now what? 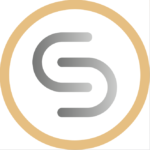 Are you ready to take your script for a test drive? When Joanna Smith-Thole, BSR co-founder and SFFF staff writer, met with Santa Fe Film Festival Executive Director Nani Rivera last fall, these were the questions that sparked both women to collaborate on inserting a screenwriting element back into to the SFFF. BlackShirtReads was founded by Kathleen Dexter and Ms. Smith, to give screenwriters an opportunity to workshop their screenplays via staged readings. What sets BSR apart from other table readings is that the scripts are read in public by professional actors and critiqued by a film industry professional before a live audience. Requests received during BSR’s last two performances highlighted the need to add screenwriter mentoring in addition to staged readings. After a 2006 high of over 140 films, The Santa Fe Film Festival (SFFF) streamlined its cinematic offerings to a boutique slate of International, American-made and New Mexico-produced movies. In 2012, Ms. Rivera joined the festival staff and had a baptism-by-fire training in how to run a film festival. When she became the Executive Director, Ms. Rivera began looking for creative ways to expand the SFFF by adding film-related components such as the mid-year Film Industry Tune-Up, an extensive below-the-line IATSE training workshop and the Shoot Santa Fe Competition Pilot. This year, Rivera is expanding the Santa Fe Film Festival to include a category for gaming and music videos. Ms. Rivera saw a need to give the festival audience access to insightful film reviews and she brought in emerging and experienced writers such as Ms. Smith-Thole of BlackShirtReads. From fade-in to fade-out, the 2015 original Santa Fe Film Festival will have much to offer for writers who want to know what’s next and to the filmgoer who desires quality films. 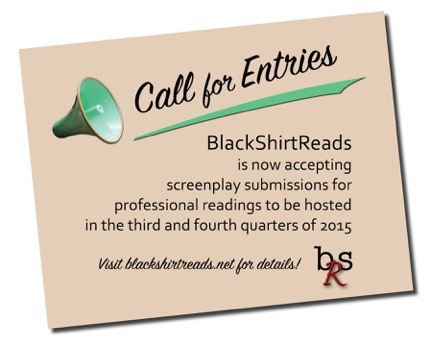 BlackShirtReads is an opportunity for screenwriters to workshop their screenplays via professional readings and critique by industry professionals. As of May 2015, BSR is accepting submissions of feature-length and TV pilot scripts from all interested writers. See blackshirtreads.net for more information.